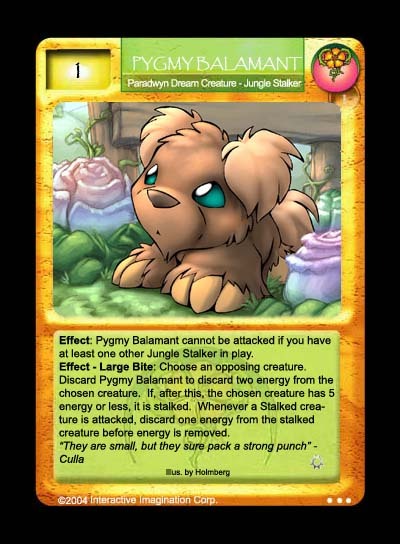 Pygmy Balamant was created to fill the gap that there is no cheaply costed Jungle Stalker It stalks a creature by sacrificing itself, hardly ideal in a stalking deck. The good thing about this card is that it can sit there and be totally invulnerable to attacks if there's another Jungle Stalker in play. The art is by Holmberg and is originally slated for Balamant Pup in Second Order.